We recently came across an item on a website called The Mighty that we found especially moving. It’s a letter that starts with three simple words: “Dear Car Wreck.” Written by a woman in her thirties named Jessica, it’s a letter to the car wreck that happened when she was a teenager that changed her life and left her in chronic pain. It begins with her description of waking up in the hospital having no memory of the crash that had slashed her face, crushed her legs, broke her ribs, and caused her lung to collapse. Jessica’s letter describes the painful process she endured in the hospital, going through physical therapy and going home to try to keep up with school. She describes her struggle to learn how to walk again and the pain that never stopped and still continues to this day. “I don’t remember you,” car wreck, “but you will never be forgotten,” she writes. 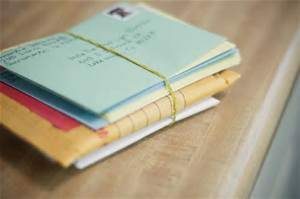 Nearing the end of her letter, she realizes that she wasn’t writing a letter to the car wreck itself, but to the pain that just would not go away and that no one could tell her why. Despite her pain, and her years of feeling broken, she writes that she is able to find joy, and expresses her hope that someday her doctors will find the cause and a solution to her pain and that her pain will someday end up helping others. There is something special and emotionally moving about this letter. We hope you will read the letter in its entirety and share it with others. Heintz & Becker knows how chronic pain can forever change the lives of car accident victims and their families. We hope that by sharing this letter and continuing to post information about CRPS/RSD we can increase awareness about the reality of chronic pain. If you need an injury attorney who understands chronic pain, call us at Heintz & Becker. We can schedule an appointment to discuss your case at our office, at the hospital or in your home. Parents, do you know where your kids in grades 9-12 can satisfy some of their physical education and online course requirements, and get certified in both Boating and Hunting Safety for FREE? The answer is the Outdoor Education Course offered by the Florida Virtual School (FLVS®) which allows Florida high school students to get their Boating Safety and Hunting Safety certification while earning 0.5 physical education and online course credit for high school graduation. For students carrying heavy academic course loads and/or involved in music, art or other time-consuming programs, it can be difficult to fit in physical education and other required courses. It can also be hard to find an online course that students actually want to take. For those students that are interested in boating and/or hunting, this course may be just what they are looking for. It’s the only course in the country of its type to combine both boating and hinting safety and it’s free to all Florida High School students. Heintz & Becker encourages parents and students to take advantage of this fantastic opportunity. By doing so, students will not only get one step closer to graduation, they’ll learn things about boating and hunting safety that may someday save their own life or the life of someone else. If you are a boating or hunting accident victim and need an experienced attorney to seek compensation for your injuries and related suffering, call us today to make an appointment for a free no-obligation consultation. What would you do if your mother developed CRPS and was in constant unbearable pain? That’s what has happened to Charles Mattocks, a successful chef, actor, author, producer and diabetes advocate. In 2008, his mother, Constance Marley, sister of the late Bob Marley, was diagnosed with the disease. Upon seeing his mother’s suffering, he was compelled to reach out to others to hear and document their stories. 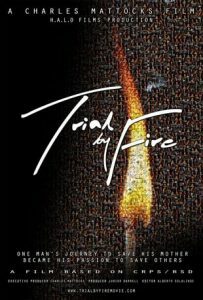 Unable to stop their pain, he decided to produce the documentary film called “Trial by Fire” to raise awareness and hopefully fuel a movement to bring help to people suffering from the effects of this disease. What’s a Son to Do? Trial by Fire has been called a moving piece that will open people’s eyes about CRPS and create a lasting impact on its viewers. The film has been selected to be shown at a variety of film festivals around the country and is stacking up film festival awards, including best director and best documentary. Mattocks says the documentary film is just the start of his journey and pledges to continue fighting to raise awareness and pushing for the development of better treatment options and an eventual cure. He hopes that the film will inspire people to treat CRPS sufferers with the dignity and respect they deserve. The tragedy of CRPS is gaining awareness thanks to the efforts of people like Charles Mattocks. Heintz & Becker congratulates Mattocks on the success of his film Trial by Fire and wishes him continued success. If you or a member of your family developed CRPS after an accident caused by someone else’s negligence, our experienced CRPS injury attorneys may be able to help you seek financial compensation for your suffering and medical treatment. Call us today to schedule a free CRPS case review. Former Tampa Bay Buccaneer fullback Mike “The A-Train” Alstott remains an all-time fan favorite for his accomplishments on and off the field. He played 12 seasons as a fullback, racking up 5,088 yards rushing; 71 touchdowns (a team record); six Pro Bowls; and a 2002 Super Bowl championship. He was also injured nearly 50 times and was given prescription painkillers to get him through the pain and back on the field. Fortunately, Alstott, now 41 years old and a head coach for a St. Petersburg high school football team, came through it all without experiencing an overdose or becoming dependent on painkillers, something he credits to having trainers and physicians on his side who helped him understand how to take them safely. Mike Alstott knows first-hand how opioids, when used correctly, can play an important role in managing pain and helping people function, but he is also keenly aware of the growing crisis of opioid misuse and overdose. More American adults are dying from misusing prescription narcotics than ever before. An estimated 35 people die every day in the U.S. from accidental prescription painkiller overdoses resulting from things like not taking a medication as directed or not understanding how multiple drugs can interact. One of the things Alstott is doing to spread opioid safety awareness is through his taking part in the “America Starts Talking” campaign. The America Starts Talking website offers factual information and tips on how to safely use opioids, quizzes, videos and discussion tools. In addition, the website provides potentially lifesaving information on how to respond to an opioid-related emergency. The pharmaceutical company Kaleo, maker of the Evzio auto-injector that’s used to reverse the effects of an opioid overdose, is sponsoring the campaign in partnership with the American Academy of Pain Management, the American Chronic Pain Association, The Pain Community, and the U.S. Pain Foundation. Click here to learn more from AmericaStartsTalking.com. The personal injury attorneys at Heintz & Becker are grateful to Mike Alstott and America Starts Talking for promoting opioid safety and educating people about what to do in an emergency. Our lawyers represent many serious accident victims who are suffering in pain from their injuries and, in addition to helping them receive the financial compensation they deserve, we can help our clients find medical professionals who specialize in safe and effective pain treatment and management. If you need a personal injury attorney, call us today for a free consultation. Levaquin, Cipro, and Avelox are very popular antibiotics prescribed to millions of people nationwide. They belong to a class of antibiotics known as fluoroquinolones. However, these drugs and their manufacturer, Johnson & Johnson, have recently come under heavy scrutiny, again. All of the drugs in this class are currently involved in a class action lawsuit as a result of their debilitating side effects. 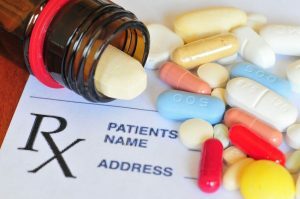 Plaintiffs involved in the litigation claim to have suffered from serious conditions such as peripheral neuropathy, aortic aneurysms, and aortic dissection as a result of taking these medications. Some of these side effects have even resulted in permanent injury. Although the FDA required that peripheral neuropathy be cited as a side effect on the warning labels of all fluoroquinolone packaging in 2013, the warning did not appear to be sufficient in making the prescribed patients aware of the risk they were assuming. The warnings given by manufacturers seem to have been written in a fashion that led people to believe that nerve damage was a rare consequence of taking these drugs. It is also alleged that despite empirical data, they all together neglected to tell patients and doctors that the nerve damage could be irreversible. Many patients reported numbness and tingling in their hands and feet immediately after starting their medication that has lasted well after finishing their prescribed regimen. Even scarier is the risk of aortic aneurysms and aortic dissection that were not listed on the warning labels until recently. In a 2015 study, Dr. Chien-Chang Lee, M.D. was unable to establish a definite cause and effect relationship between the medications and aortic aneurysms. The study did find that the use of fluoroquinolones was associated with doubling a user’s risk of aortic aneurysm and dissection (Lee C, 2015). The lack of a conclusive link between fluoroquinolones and aortic aneurysms and dissection allows the drug companies to leave their consumers in the dark about these risks. Prior studies conducted between 2008 and 2015 demonstrate a link between fluoridated drugs and the interruption of production and also the breakdown of collagen, a main component of muscle tissue, tendons and even arteries. In addition, prior warnings added to these drug labels following those studies demonstrated a possible link to detached retinas and muscle, tendon and joint conditions. This information led to a class action lawsuit that was settled in 2012 and could point to the manufacturers having prior knowledge. For now the FDA has determined that this classification of drugs will have what is commonly referred to as a “black box” warning. This type of warning is used when there is reasonable evidence of a negative side effect occurring following the use of the medication. In the statement issued in May about this issue, the FDA says it appears, “the serious side effects associated with fluoroquinolone antibacterial drugs generally outweigh the benefits [for some conditions in individuals] who have other treatment options.” The statement also went on to state the previous safety information associated with the use of these medications. If you or a loved one has suffered from peripheral neuropathy, aortic aneurysms, or aortic dissection as a result of taking these medications contact the attorneys at Heintz & Becker right away. Call (941)-748-2916 to see how we can help. After the deaths of 3 toddlers in furniture tip-overs, IKEA has issued a voluntary recall on over 25 million dressers and chests sold over the last three decades. These “tip-overs” have left dozens of individuals injured and been fatal for others. As a result of anchoring and weight distribution design concerns, models such as the “MALM” dresser do not meet what IKEA believes are voluntary industry standards. The instability makes these pieces of furniture very prone to falling unless properly anchored to a wall or adjacent furniture pieces. IKEA’s consumers could not necessarily anticipate having to physically anchor a piece of furniture to their wall to ensure it is safe unless they had been informed at the time of purchase. Therein lays the crux of the impending wrongful death claims. The massive international corporation could certainly face heavy consequences for knowingly distributing millions of dressers and chests that were known to present safety concerns. Voluntary safety standards necessitate that a piece of furniture should sustain a minimum of 50 pounds of weight in an extended drawer before it becomes prone to tipping over. Unfortunately, IKEA’s failure to adhere to these standards left 6 children under the age of 3 crushed to death. Many could reasonably assume the average toddler is below this weight, making a case for negligence against IKEA. This has led the company into serious legal claims up to and including wrongful death accusations. The company is currently offering free wall-anchoring and repair kits and/or partial and full refunds to owners of the faulty products. They are even going as far as sending professional help to properly anchor or pick up the recalled products for customers free of charge. How can you ensure your home and children are not susceptible to tragic tip overs with IKEA products? According to IKEA’s website, the recall covers all IKEA children’s chests and dressers taller than 23.5 inches and adult chests and dresser taller than 29.5 inches. The recalled furniture was also sold as recently as June 2016. If your IKEA products are as described above make sure to place it somewhere inaccessible to children and contact IKEA customer service. You can contact IKEA at 1-866-856-4532 or email: secureit@ikea.com. Refunds, kits, and assistance are also being handled within the stores as the toll free number has experienced extreme call volume in response to this recall. Meghan’s Hope is one parent’s mission to stop preventable childhood deaths following a tip over accident that claimed the life of a three year twin in 2004. Kimberly, Meghan’s mother, keeps parents abreast of safety concerns and recalls primarily through social media posts. IKEA is not the only furniture manufacturer to have experienced recalls and injuries related to their products. 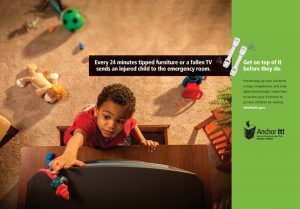 It has been reported that as many as 38,000 injuries occur annually as the result of furniture tip over accidents; every two weeks there is one tip over related death; and every 24 minutes in the United States a child goes to the emergency room with injuries related to tip over incident. The Consumer Product Safety Commission (CPSC) launched a campaign addressing this exact issue in June 2015. While we would never presume to make accusations as to supervision or blame, it should be said that children should never be left unsupervised where the potential for hazardous conditions exist. If you or someone you know has been injured as a result of these or any recalled products, contact the attorneys at Heintz & Becker immediately. Call (941)-748-2916. In the popular AMC series “The Walking Dead” fictional character Daryl Dixon uses his mojo to navigate through the zombie apocalypse on a motorcycle. Not surprisingly, actor Norman Reedus, who plays Dixon, is a skilled rider with years of motorcycle riding experience. He once worked at a Harley shop called “Dr. Carl’s Hog Hospital” and currently owns a Harley, two Triumphs, a Honda and a Tiger 800. Reedus’ enthusiasm has even led to the creation of a new AMC motorcycle travel show called “Ride With Norman Reedus,” which takes viewers out on numerous motorcycle road trips to famous locations around the country. But, like everyone else, Reedus was once an anxious newcomer to motorcycling trying to figure out how to learn to ride like a pro. Knowing your surroundings is essential according to Reedus. He cautions riders to assume that everyone is busy texting and driving and to always stay aware of what other vehicles are doing. For first time riders, Reedus recommends taking it slow and riding away from traffic. Those, empty scenic routes are Reedus’ favorite places to go riding, think things through and decompress. To experience taking a real ride with Norman Reedus, watch “Ride With Norman Reedus” Sunday nights on AMC or on AMC.com. The attorneys at Heintz & Becker appreciate the great down-to-earth advice actor Norman Reedus has for new motorcycle riders. Whether you are new to riding or have been riding all your like, we invite you to check out our series of motorcycle safety blogs. Sadly, Reedus’ comments about texting and driving are on point and it seems like not a day goes by that we don’t hear of a senseless motorcycle accident in our area. Our experienced team of motorcycle injury attorneys is standing by if you or a member of your family ever becomes the victim of a motorcycle accident due to the careless actions of another driver.